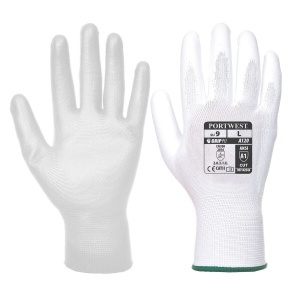 For general and tactile handling applications, look no further than the Portwest White PU Palm Gloves (Case of 480 Pairs), which are fitted with a special PU palm coating that works to enhance grip in all conditions. They are designed for handling, and their ergonomically designed, breathable and hand cooling inner liner means that the user can continue to handle materials safely and in comfort for extended periods of time. 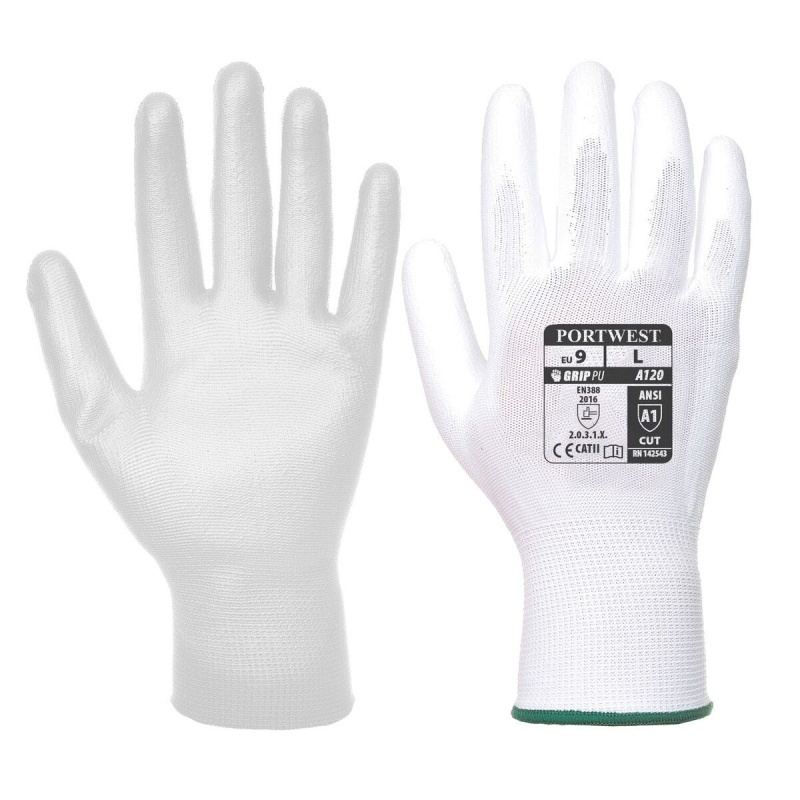 The Portwest White PU Palm Gloves A120WH are popular gloves, and with this offer you can buy a case of 480 pairs at a discounted price. Ideal for businesses that require high levels of health and safety, this offer lets you save money on your essential safety wear. To purchase these gloves in a single pair, please see the standard listing. The Portwest Gloves are ideal for intricate tasks where dexterity and breathability are essential. A palm dipped design ensures outstanding grip, while the thin and sensitive 13 gauge liner enhances productivity in tactile applications. The Portwest A120WH are available in six sizes that should be suitable for most users. To find your perfect pair, please measure the circumference and length of your palm and match the results to the table below.